This is the 14th release of Sentimental Circus. This "Little Red Riding Hood" is the side show in the midst of the usual circus act and it is also Shappo's first attempt at puppetry. 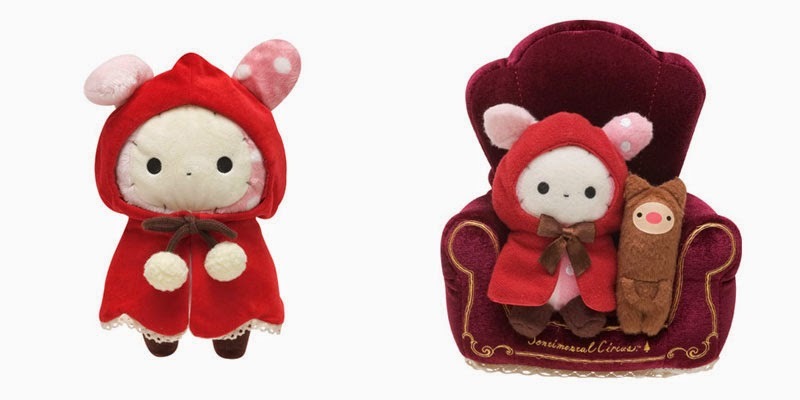 In the act, Shappo is the Little Red Riding Hood; Toto, Pigu and Mamo are acting as the wolves; Kuro and Poni are acting as Grandma. This marks the start of a little sad fairy tale. 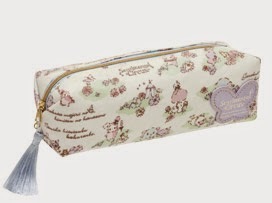 Themed pencil cases and pouches. To our surprise, the book look a like is actually a pouch! We will be bringing this item in! It's really creative to turn the book into a pouch! 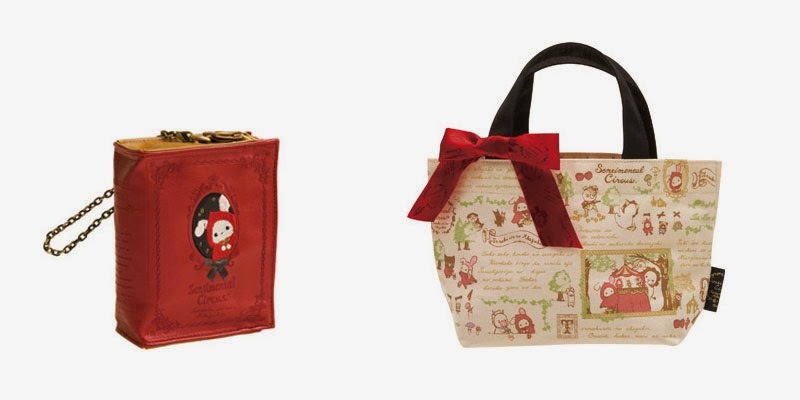 The tote bag also looks very dainty as usual but the addition red ribbon makes the bag pop. One night, after the closing of the circus show, while packing up the tent, they found a ring of wilted flowers beside them. Tears started flowing and when these tears dropped on the wilted flowers, these flowers seems to come back to life and flew everywhere in the tent. The tent is quickly filled with flowers and transformed into a flower garden. This theme was released in March 2014, Spring season and it explains why in this series, purple butterflies, tassels and flowers are seen everywhere on their items. 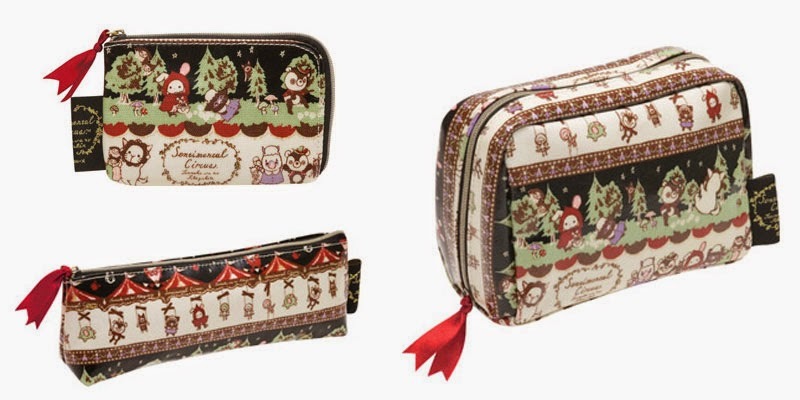 As Sentimental Circus are more for the ladies, the card case and hair accessories are made to be more feminine and dainty looking. Especially the scrunchie that looks gorgeous! We had mixed feelings for this purple Shappo plush as we are more used to the pink Shappo. But the napping pillow looks very very comfortable. Sentimental Circus Mouton's fan art! 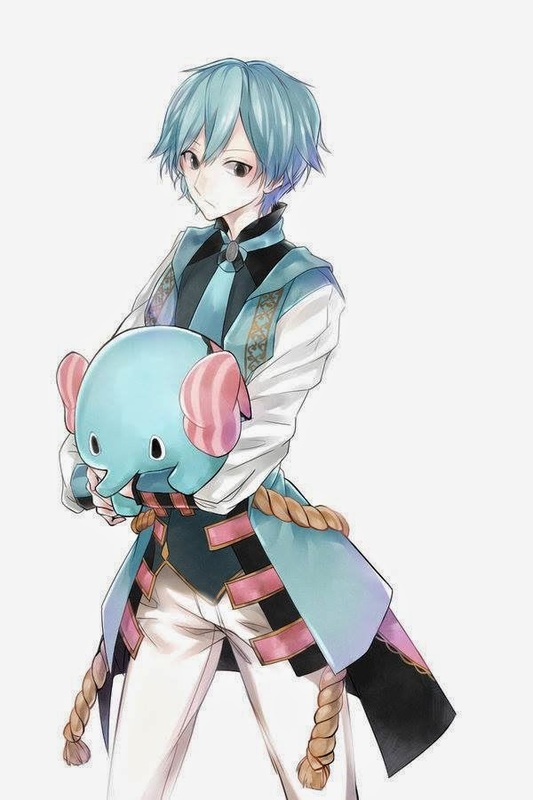 We are very much into Sentimental Circus and we are really happy when we found this fan art of Mouton in human form! Look at how handsome he is!!! Especially the hair color and eyes. The whole color composition really made the whole thing so dreamy and anime like. We have yet to find a Shappo version that makes us go "WOW!" but if you do have one, please share it with us!! Feel free to share even if it is other characters, we love them all! After the whole town is felt asleep quietly, neglected abandoned toys are awaking one by one and gathering together.."Kuro", performer of the rolling globe."Mr. Bear", performer of the tightrope walking. 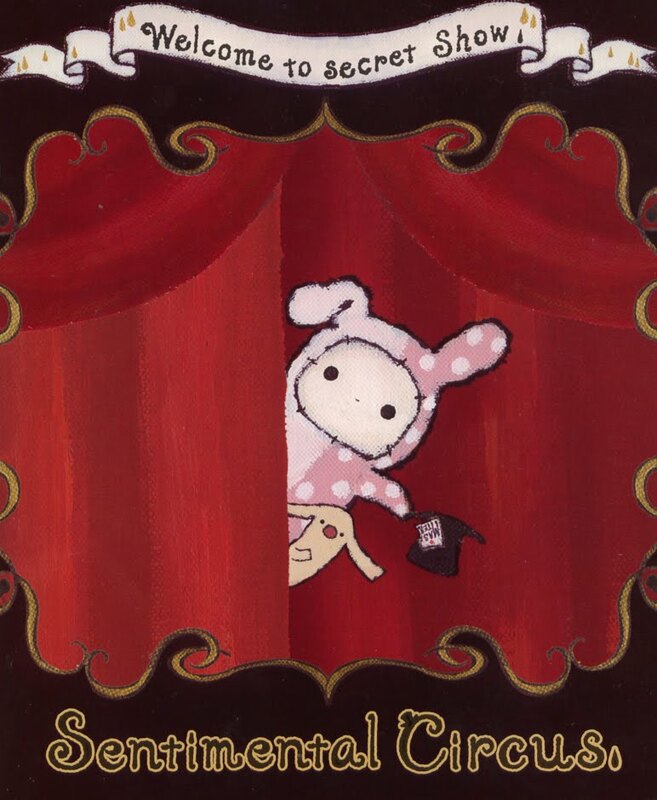 "Pigu" & "Mamo" performer of trapeze acts.And when "Shappo", impresario, appears, the curtain of the mysterious circus, "Sentimental Circus" goes up somewhere again. Role: Ringmaster of Sentimental Circus. He wears a small black hat with the word "Master" on it and in it, he carries his threads, needles and poker cards. Surprisingly, Shappo loves craft works! Shappo's closest partner! Made by Shappo. A bear that lives at his own pace and made of tin! Twin monkeys filled with curiosity! They are 3 talkative sisters who love to go to the dressing room. A hardworking wooden pony who is troubled by his own short legs. The largest plush among the toys! His mane is detachable to become the hoop that he jumps through. An easy going elephant who turns really active during the performance! And there you have it! The short story of Sentimental Circus. Hopefully someday we'll get to see them perform in the middle of the night! Sick and tired of your plain looking work or school calendar? 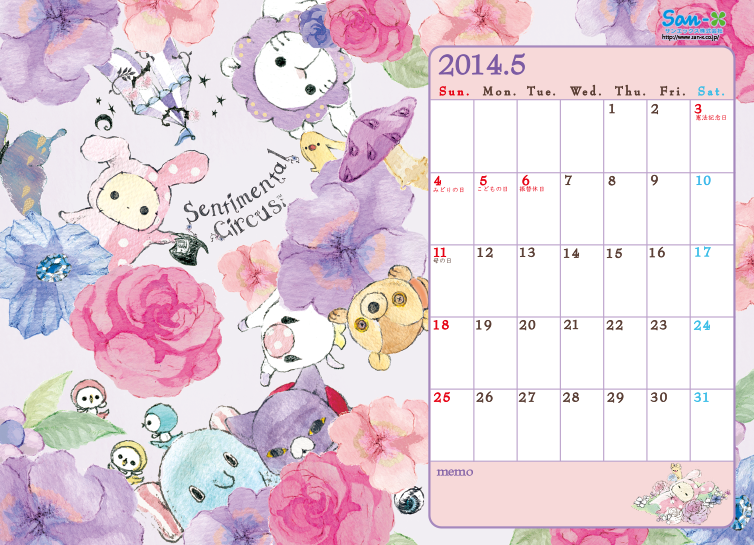 Use this Sentimental Circus Calendar from San-X instead to brighten your month!